UPDATE: Hope's 2nd surgery is scheduled for May 16th! Her first leg has healed so well that a prosthetic will be needed, but NOT a 3rd surgery! Yay for Hope. Hope is a 10 month old Anatolian Shepherd puppy sold by a neglectful owner for $50 on Craiglist, "as is." She suffered a broken leg at 3 months of age which was not properly treated. Following months of poor nutrition and lack of medical care, Hope was malnourished to the point of starvation. 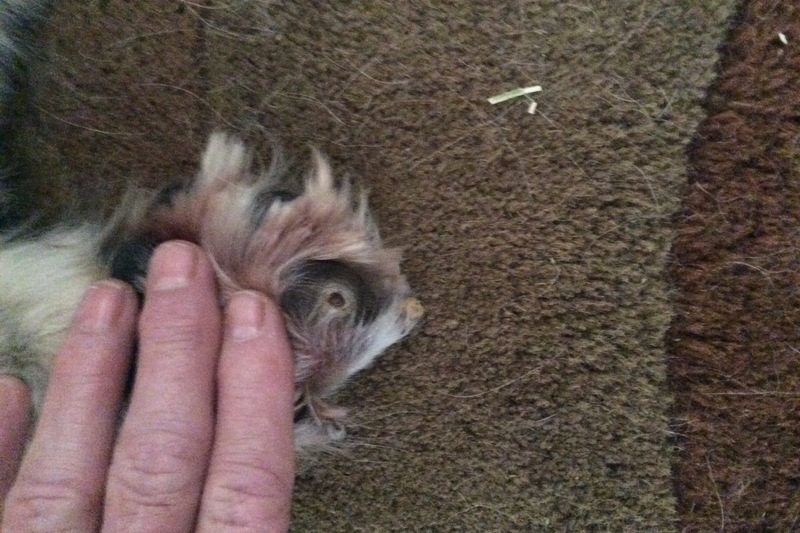 She was loaded with worms, had atrophied muscles, a severe overbite from a poorly developed jaw and severe angular deformities in both front legs. She struggled to eat and could take only a few steps without having to lie down to escape the pain it caused. 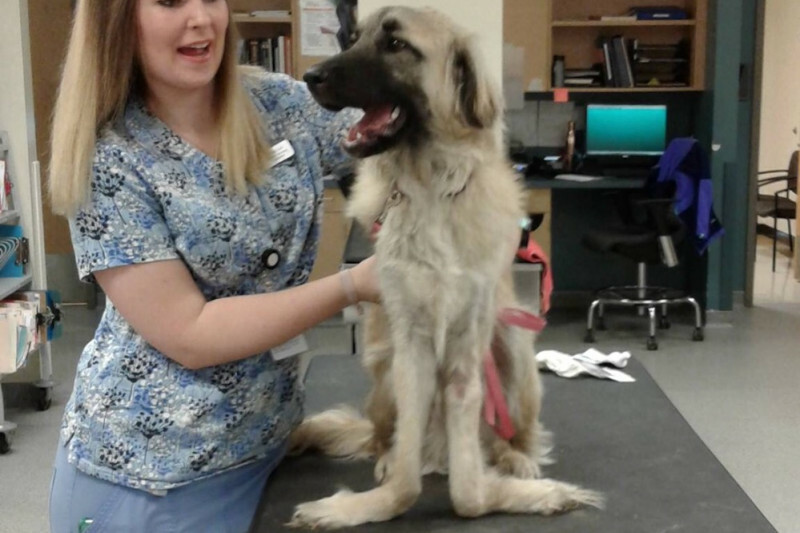 With the help of the great members of the National Anatolian Shepherd Rescue, Hope has received donations to cover one surgery and nearly enough for the second surgery which is coming up on May 15th. An outside donor provided the surgery to grind down her lower canines to prevent them from burrowing any further into her palate. This tough little girl had a pointy canine tooth pushing more than 1/3 of an inch into the roof of her mouth -and she still kept fighting to eat! I'm setting up this Go Fund Me page to ask for help with the balance of the funds for her second surgery, her aftercare (bandage changes weekly, follow up scans in the coming months, medications, check ups, and physical therapy). Hope may also need to be fitted with a prosthetic for her most severely damaged leg. The Anatolian rescue group is very small and they have truly gone above and beyond to help me with Hope. They are an all volunteer group and have many other dogs to care for so its time to let them get back to business! I have fostered Hope for the last 3+ months and will now be taking over full financial responsibility for her. I would so appreciate any small donations so I may continue to give her the best chance at a happy, pain free life. Please read and enjoy her story, her photos and videos - even a couple of TV interviews, LOL! She is one AMAZING pup. Hope says Hello to all her many admirers () and wants you to know she hanging in there with all this hot weather this year. Isn't this something awful?! Hope's been doing well with her braces and enjoys the company of the other dogs a lot. So glad to see how far she's come. We did have to make an unscheduled trip to the vet school at Oregon State yesterday because she decided to stop using her right leg, both with and without the braces. Also wouldn't eat or leave her bed. Of course like any good mom I panicked! I've known for a few months now that a fusion of the bones in her right leg is in her future but I was hoping it wouldn't be necessary for a few years. Hope says, "mom, I'm an Oregonian! We don't do this 90 degree stuff. I need to hit the physical therapy pool!" How is Hope right now? would be great if we can have the update. thanks. I would love to donate, but I have no money. I will, if I can, soon, hopefully. In the meantime, Hope is going on my prayer list of those I pray for every morning and every night. So glad shes doing so well. She has the perfect name. This sweet innocent dog baby doesn't deserve what happened to her and DOES deserve every chance to recover and live a long, full, happy, painless life. I love dogs, and want to see them all well and happy.